Mamilla - in Arabic, "that which came from god" - is situated in the valley that links the Old City’s Jaffa Gate to the new city. It is the neighborhood closest to the old city. It was established at the end of the 19th century to house Jewish and Arab merchants and tradesmen, and flourished as part of the city’s commercial center. 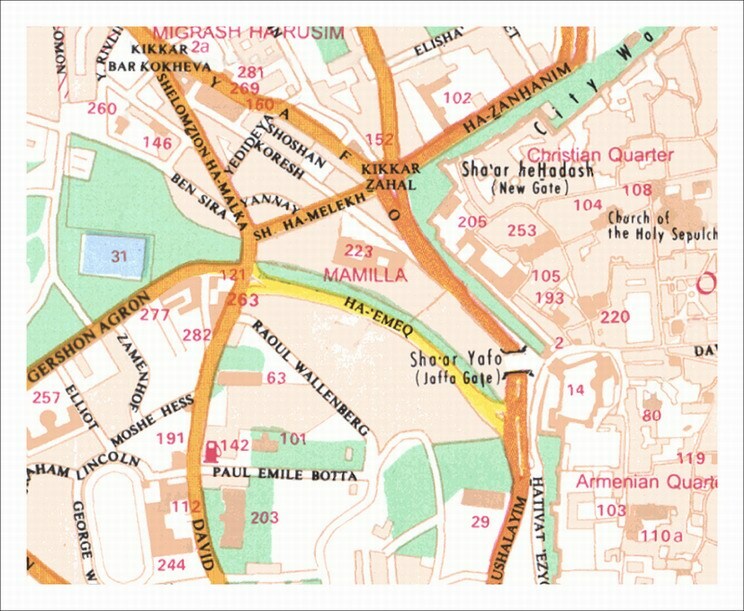 During the years 1948-1967 Mamilla was in the no man’s land between Israel and Jordan. Many of the neighborhood’s buildings were destroyed, its overall status deteriorated and it housed new immigrants and the poor. When Israel captured East Jerusalem in 1967 (the Six Day War) the line was erased and Mamilla was ripe for an urban renewal project. It was decided to demolish Mamilla and rebuild it. After 20 years of public disagreements, the following project is nowadays being executed, to include a luxurious hotel, commercial and office areas and exclusive residential areas. 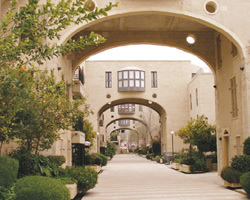 It is one of modern Jerusalem’s largest, longest, and most expensive development initiatives.